MERLIN is a comprehensive software package for survey analysis and tabulation. It has been continually developed for over 30 years, and is now one of the best-known and most widely-used packages of its kind. 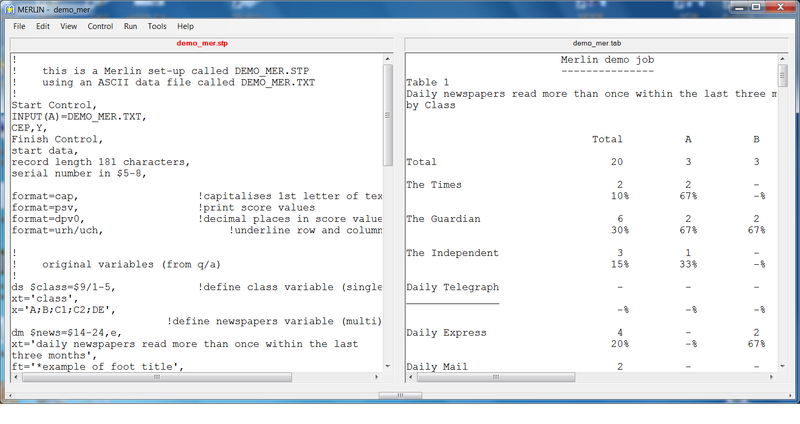 MERLIN is a language based product, aimed at the professional survey analyst. We recommend MERLIN for people who will spend at least 50% of their time using it, in order that they will be able to develop and retain skills in the use of this language; for those processing data on a less frequent basis, we recommend MERLINPLUS.